Embed Analytics story with BIME : Grabbing your customer's’ attention is no easy feat with the amount of noise your business has to compete with. So more and more marketers are getting savvy with customer data to find, target, and engage their customers in a way that’s more personal and relevant. Read how Kontest—a creator of marketing tools that optimize the customer journey from site visitor to customer—has integrated with BIME Analytics to provide data-driven solutions for marketers. We are pleased to announce that we have been acquired by Zendesk and that BIME Analytics will be a part of the Zendesk product lineup. You can read about the details here. This is a momentous day for our company and I want to first thank our customers for being such a central part of getting us to this stage. It’s been an incredible ride since we founded the company back in 2009. We have been on a journey to simplify the complex world of business analytics and make it approachable for every business. For BIME customers, we think this is great news. We will be able to invest more in our product and platform. And, yes we will be continuing to develop, sell and support BIME! As part of Zendesk - one of the truly great SaaS companies in the world today - we can invest more into our growth and innovation on the BIME platform. Zendesk brings expertise in operational scale that we desire and shares our belief that the future of analytics lies in more modern approach that helps businesses easily connect to disparate data sources in order to better understand customers. Again, I want to thank all of the customers, employees, investors, friends and fans of BIME, and we look forward to continuing our journey together. 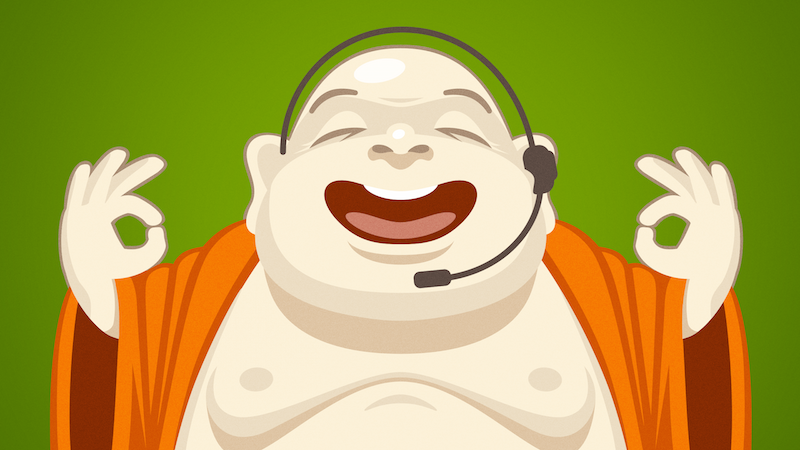 And you may want to check out Zendesk for great customer service software and Zopim for live chat! Oscaro.com is the leading online seller of new and used automotive parts. A big data approach was necessary to best meet the expectations of Oscaro’s customers. Since a web tracker was put on their e-commerce website, linking navigation data to the products catalog, Oscaro generates up to 5TB of data per year! To manage the data growth, Romain Nio and François Dumarest opted for a “Big data” oriented and "scalable" architecture with modern cloud technologies. Find out why they chose BIME & Google BigQuery. We recently had the opportunity to talk with Bertrand Diard, founder of Talend, one of the world’s leaders in BigData integration, counting 550 employees today. Their switch to BigData happened at a very early stage and last year their BigData revenue has been increasing by 122%! After looking at how including images in tweets can generate engagement, we have also had a look at how timing can help inform marketing strategy, considering both ‘inbound’ traffic and ‘outbound’ campaigns. One great thing about working with a cloud BI tool is that the business user has the ability to run ad hoc queries quickly and easily - you don’t have to find room in the budget for it, or persuade a busy IT team to get involved. This is particularly handy when you are looking at a hunch. Using the BIME Twitter connector and BIME DB, it was quick and easy to go from hunch to analysis to strategy. If a picture is worth a thousand words, it can also boost the engagement with 140 characters! When it comes to major trends, people are embracing them in an instant and start boasting about their endless benefits. There are few of us though in the midst of the wildfire-like spread of the trends who have the lucidity and power to take a step back and tell people to curb their enthusiasm. Nowadays, this is the case with the Big Data trend – everyone is excited about gathering it, using it and analyzing it in order to obtain the insights that may trigger the competitive edge, the decisive discovery, etc.